Remodel your home and save! 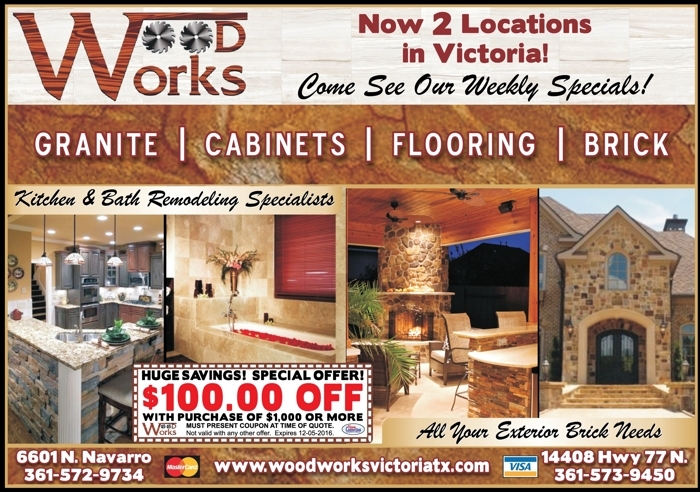 If you are in the market for more than just a new counter top, Woodworks also has a huge selection of cabinets and flooring to choose from for both your kitchen and bathrooms! Come in and see their weekly specials!